Belgium has quite some Comic Cons and other events that revolve around games, anime, manga and so much more. Only a few are more linked to the Asian culture, but a new one is joining the scene (or so it seems at least). Japan con was advertised as an Asian pop culture festival, but did they live up to their expectations? Japan Con is organized by the same people who are behind three Comic Cons and Elftopia. 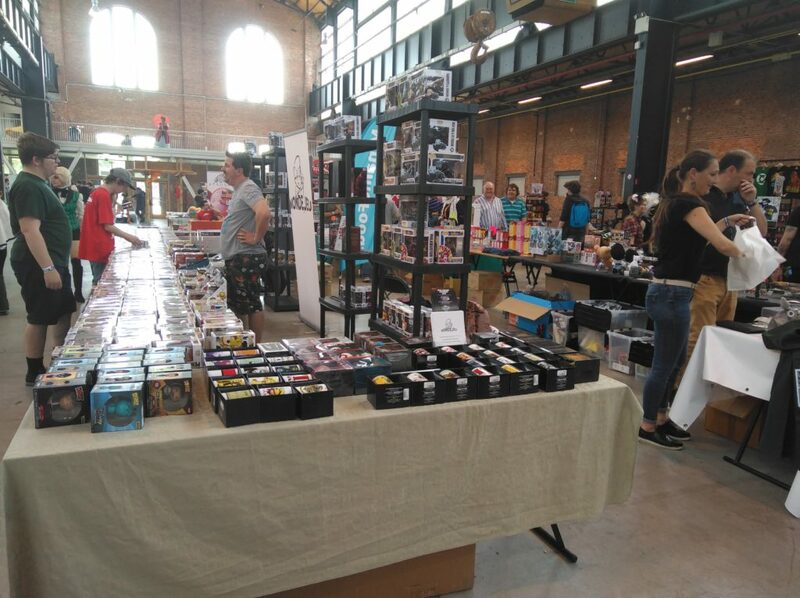 For this new event, the organization chose a different location as for Antwerp Comic Con, which was a great idea. The site was surrounded by greenery and even some watery fun right around the corner. This was the perfect alternative for people who wanted to go outside for a while. A downside was that there wasn’t any parking area at the venue, so some people had to find an alternative and walk for a while which could give some issues when in costume. Upon entering the convention, the entrance had a nice Japanese feeling, which really set high hopes for the rest of the event. Truth be told, the whole con floor missed that Asian vibe which was quite a let-down. This is definitely a point of improvement. The amount of dealers was rather small and although there were some sellers with more Asian-oriented goods, it felt like this wasn’t enough. The feeling of walking in an festival for the Eastern culture wasn’t really there. Yes, there were a variety of things that were for sale, but it feels like there was more potential on this part. 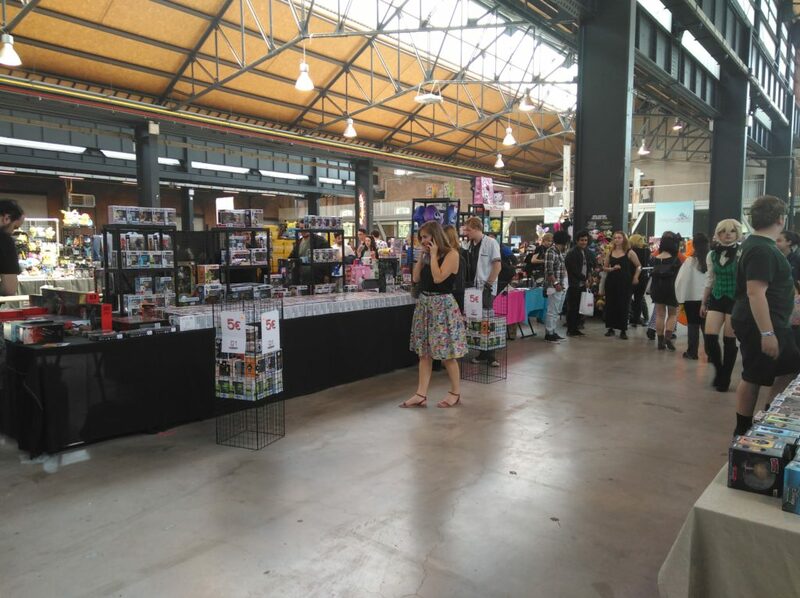 A positive note though, the dealer area was rather spacious, so you could browse the goods rather easily and without worrying you were going to bump into people. 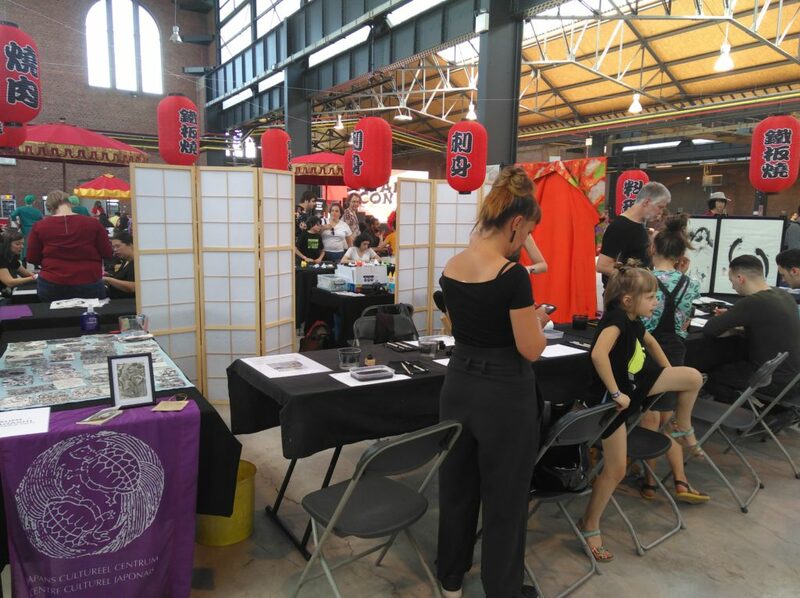 Next to the buying possibilities, there were also a few workshops which were related to the Eastern culture. For example, you could fit some kimonos, try your hand and suminagashi (Japanese marbling on water) or learn how to draw manga characters. One downside might have been that some of the workshop areas were rather small and not too many people were able to jump in. Also, there wasn’t really a program overview of the different activities to join, unless you kept track of the messages on Facebook. It would have been nice if this was communicated on the website as well for example. On a convention, cosplay surely can’t be forgotten and there were quite some people wearing their favorite costumes. You could spot people from anime series or gaming franchises, which could go onto the catwalk and show their moves. What is quite special for this event is that the organization chose local talent as judges. This surely is a nice move as Belgium does have a lot of potential. Food wise, there were some food stalls at the end of the hall which all had some delicious Asian foods and treats. Really nice to see that the organization did their best to get some fitting food for their attendees. Even more, is this was a smaller con, the ratio between the amount of food and the size of the event was definitely ok. Also, there was a lot of seating possibilities just at the food stands, so you could relax a bit and sit down when munching your nommies. Overall, the feeling about this convention is a bit mixed. It lacked that punch to be called an Asian Pop Culture Festival and, as the organization is now responsible for five events, it did feel rather small. Of course, the used location, amount and type of food and the Eastern-oriented workshops were really nice. We do have the feeling that Japan con has a lot of potential, so we definitely look forward to it next year!